A teenager struck down by a rare brain disease lost all her memories – apart from the recollection of her teddy bear. 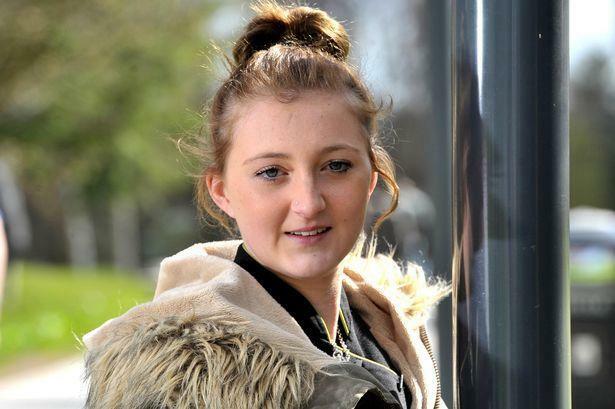 Rosie Paley, 19, had no memory of her two young brothers and couldn’t even recognise her mother when she woke up in hospital suffering from encephalitis, which causes the brain to become inflamed. Sedated after suffering a seizure that caused her to fall down the stairs, Rosie woke to discover her memory had been wiped. Although it was caused by the herpes simplex virus – the same bug responsible for cold sores and chicken pox – Rosie showed no symptoms prior to the seizure, baffling doctors as to why she fell ill.
Two years on, Rosie is still piecing together her life, using photographs. She said: ‘Looking back at pictures I can see I had an amazing childhood. I just wish I had memories to go with the pictures. “Life is now about making new memories. It’s like I’m starting from the beginning. Rosie’s mum commented: “I thought she would never remember me. The teenager still suffers with short term memory loss and has to write down instructions for her bus journey to work as well as reminders to help her complete everyday tasks. Helen added: “We could look at all the bad things about what’s happened but it wouldn’t solve or change anything. “I try and encourage Rosie to not rely on technology and just to get in the habit of repeating things until they are really clear for her. To help more patients like Rosie, please donate to the Centre for Rare Diseases by clicking the 'donate to this fund' button at the top of this page.